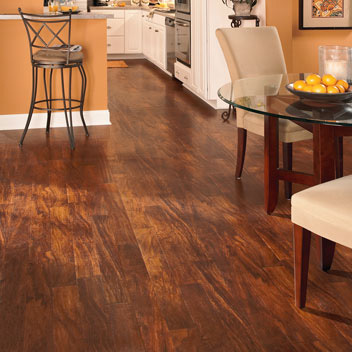 Description: The rich, exotic species of Brazilian Cherry inspires the look of Jatoba. This beautiful wood features 4” wide planks with an intense under glow and a fine furniture-like visual that is extremely popular in hardwood flooring. A unique high gloss provides an authentic look that is as versatile as it is attention getting.